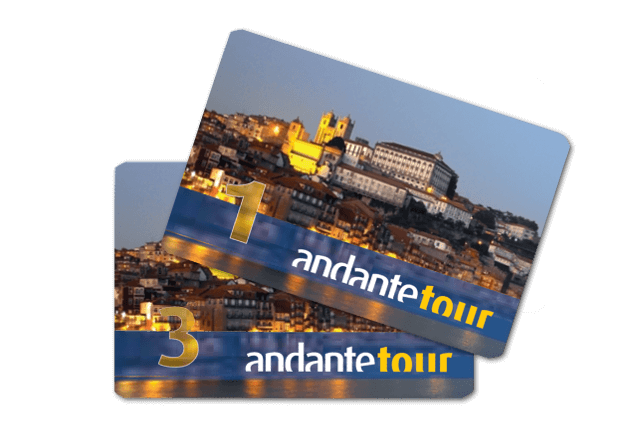 The visitors of the city of Porto have a travel card designed especially for them which makes it even more easy to use the metro, train and buses - the Andante Tour Card 1 and 3. You do not need to buy tickets, this card allows you to use all Porto public transport and the adhering operators to the Andante system (bus, metro, train), unlimited times within the period of time for which it is valid. See also the Andante and the Porto Card. Note: This information, does not dismiss the reading of the Andante Line rules.